Being one of the leading agencys in the sector, Edutemps have a deep understanding of both the jobs and candidates available in the Education and Training industry. Over the last 12 months we have noticed a shift in candidate availability, justified by the fact that many of the candidates that we have sourced for clients over the past 12 months have come from leveraging off our extensive network or traditional head hunting, rather than job applications from our job boards. This is all confirmed once we dig deeper into statistics provided by Seek. 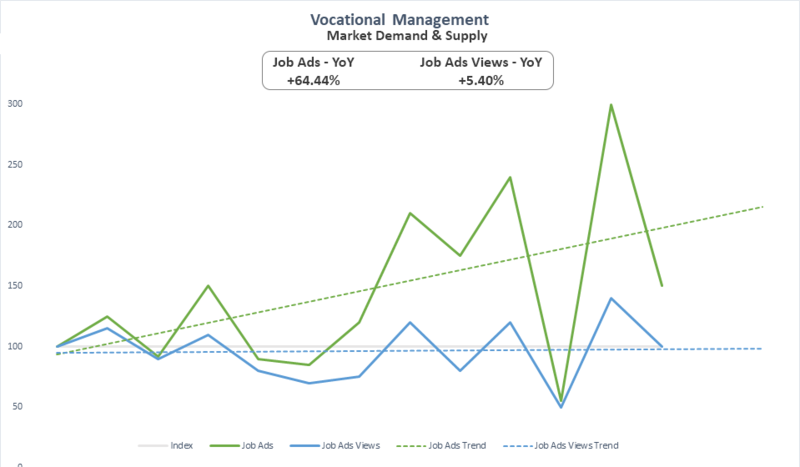 Seek’s latest statistics for Vocational Management in the Education & Training sector show that compared to Feb 2017, the change in job ads, is greater than the change in job ad views. Meaning that while there has been a 64% increase in the supply of job ads in the market, candidates have not matched demand for job ads themselves, with only a 5.40% increase in job ad views. The dotted lines below show the trends over the last year for change in job ads and change in available candidates (job ad views). 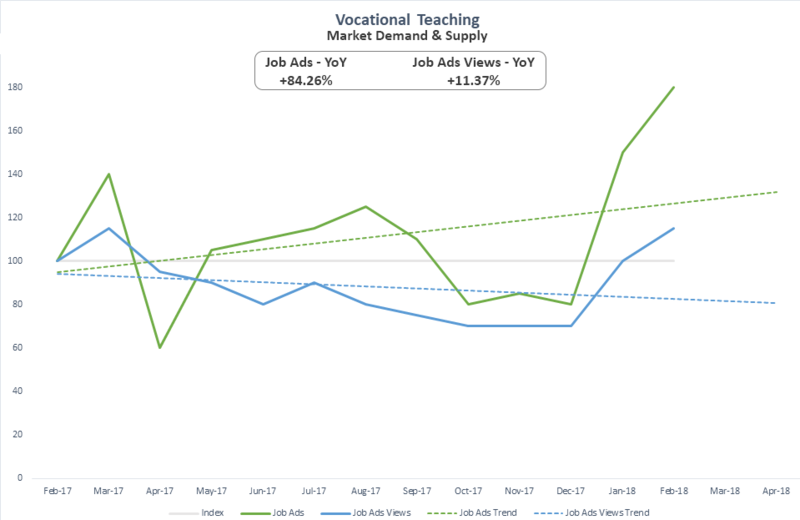 We can see similar trends for Vocational Teaching, showing that compared to Feb 2017. The number of Job ads are increasing, but the Job ad views are actually decreasing overall YoY. 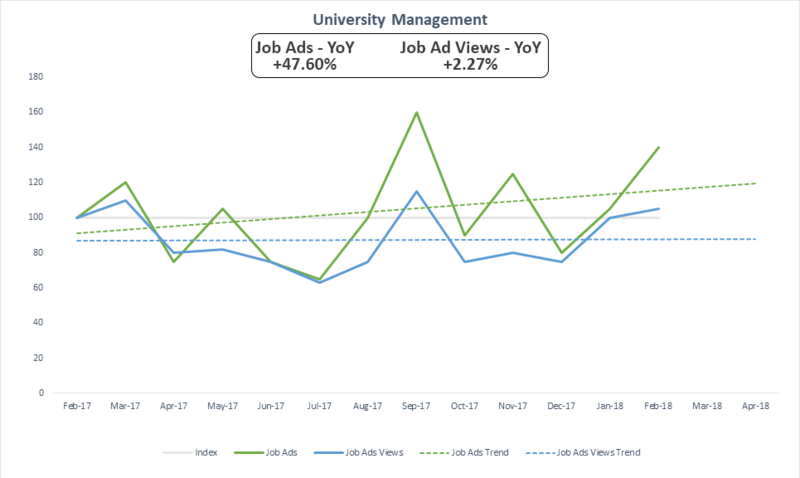 We can see that in the University Management sector, supply of Job ads have remained steady, while Job Ads Views have only slightly increase YoY. These statistics are particularly promising for quality candidates, who are now in even more demand than ever! 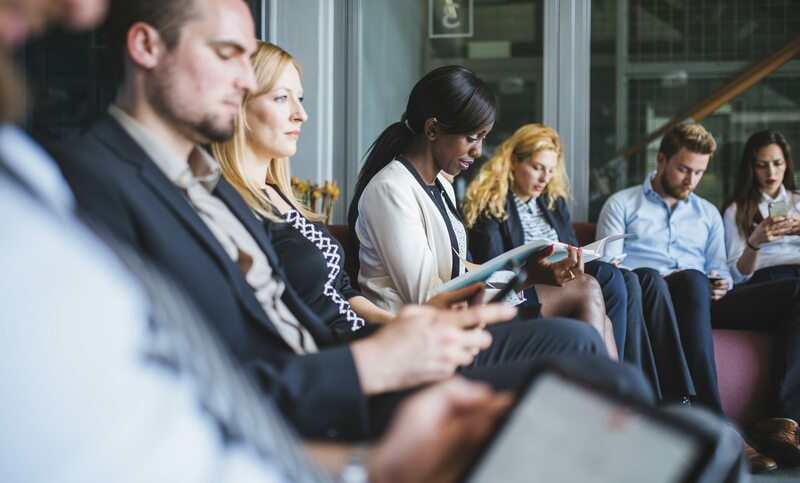 Employers need to ensure they move quickly and explore recruiting tools other than traditional job boards as many candidates have multiple opportunities. As a candidate, to make sure you’re always presented with the best opportunities, head to the Edutemps Candidate Portal, explore our latest job opportunities and register with us to join the rest of our talented candidates for consideration of future roles. If you’re returning to Edutemps, and you would like to update your profile in our system, just fill out the form again with your updated details and resume, and our system will automatically update your profile!